As A MONK IN THE WORLD WE ARE LEARNING THE TEACHINGS AND PRINCIPLES OF CHRISTIAN MONASTICISM AND HOW WE CAN APPLY THEM TO OUR LIVES OUTSIDE THE MONASTERY WALLS. One of the toughest things to learn and practice is humility. Certainly not a topic of daily conversation. But in the last couple of years this is exactly where God has had me parked. And I am reminded of it regularly. Because I struggle with pride, vanity and every possible opposite of humility. I will sit and think lowly of myself, having a pity party, imagining no one cares about me, thinking that nothing I do matters to anyone. I never imagined doing this was prideful. In fact I am having an immodest estimate of my own worth. I am thinking I should be more important to everyone else than they seem to be showing me. 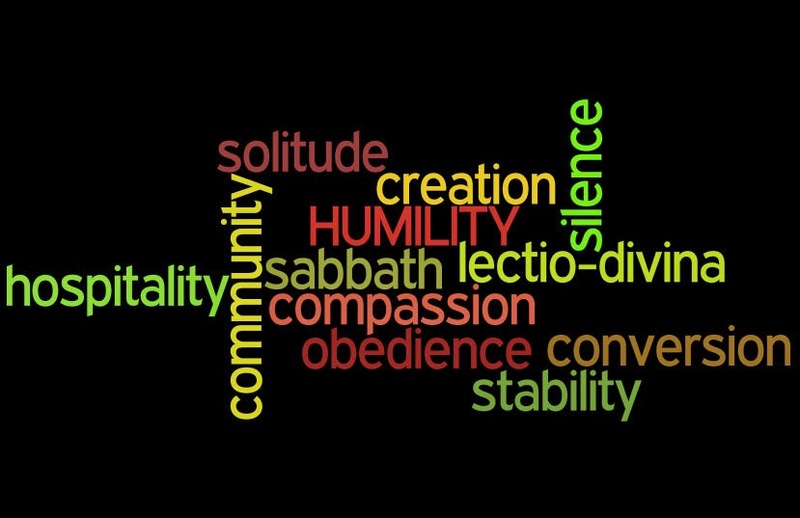 Saint Benedict’s Rule has humility at its core because humility is at the core of the Gospel. That means it should be at my core as well. I might be walking around with humble behavior. But if in my heart I am always seeking more recognition… I’ve still got a lot of work to do!